Physicists of the Caribbean: Next Batman villains revealed ! In a shock move, Christopher Nolan announced today that the next Batman film will be a drama documentary. 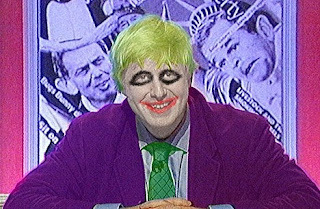 The unprecedented switch will see the film set entirely within the UK Houses of Parliament, where Batman will battle the corrupt forces of the Coalition government. Nolan explained that the casting is so obvious it would be pointless to bother any further with the fictional Gotham City. For example, Vince Cable has always borne a really quite frightening resemblance to Oswald Cobblepot, and his recent behaviour seems to indicate the Business Secretary may harbour similar ambitions to the fictional Penguin. Peter Mandelson, though out of government, is rumoured to play Scarecrow, with Nolan stating that they're basically the same person anyway, so Mandelson won't need to act very much. Both the Prime Minister and his idiot Deputy will also star, with David Cameron playing the Riddler ("because no-one knows what the f**k he's talking about" - Nolan) and the much-hated Robin being played by the now equally loathed Nick Clegg. 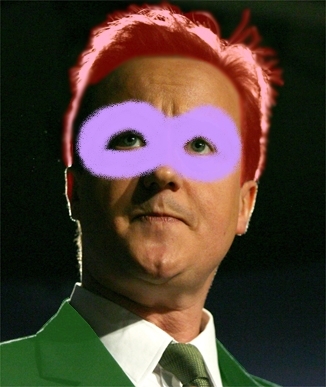 Riddle me this... just what the hell is a Big Society anyway ? 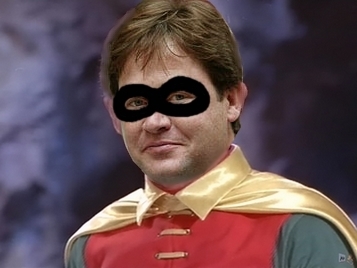 ﻿Critics have argued that Robin is Batman's sidekick, not the Riddler's, but Nolan dismissed such claims as pointless. "This is a movie about contemporary British politics", he said, "Self-consistency isn't really an issue." The host of villains doesn't stop there. 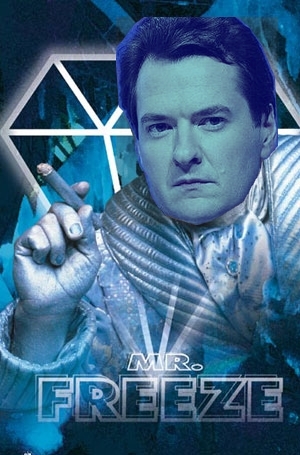 Given the recent spending review, Nolan decided that Chancellor George Osbourne would be perfect as the evil Mr Freeze. 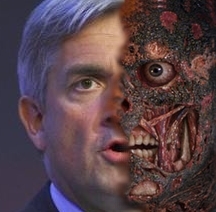 Secretary of State for Energy and Climate Change Chris Huhne, who started U-turns on nuclear power many months before Clegg's more well-known change of heart on tuition fees, is to play Two Face, although Nolan admitted it was a tough call : "There are many Lib Dem MPs who could play this equally well" he said. It isn't quite all bad news for the Lib Dems, however. Jenny Willot, MP Cardiff Central, resigned as a ministerial aide in protest at the rise in tuition fees. This combination of being part of an unpopular government but still being awesome has lead to rumours she may well take up the role of Catwoman*. And happily for Joker fans, Heath Ledger's inconvenient passing is now no longer an issue, as MP Boris Johnson is infinitely more of a clown than the comparatively amateurish Ledger could ever hope to be. * This has prompted many comments that Willot, while a fine MP, is hardly Michelle Pfeiffer or even Halle Berry. In response Nolan repeatedly told interviewers that he managed to cast David Bowie as Nikola Tesla in The Prestige, so "I can bloody well do what I like, thank you so very much." Nolan has stated that the only difficulty in filming in the UK is the shortage of hero characters. Menzies Campbell was briefly considered for the role of wise old butler Alfred, before it was revealed that he was so dull that it was impossible to measure a heartbeat. As leader of the opposition, Ed Milliband was in the runnings for Batman, but his mum said he was "grounded for not sharing". 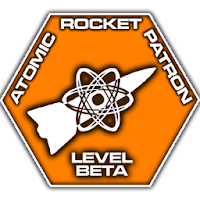 All-round nice guy Commissioner Gordon remains uncast, though the only transatlantic role may be filled by Barrack Obama who will play hard-pressed awesome science dude Lucius Fox.